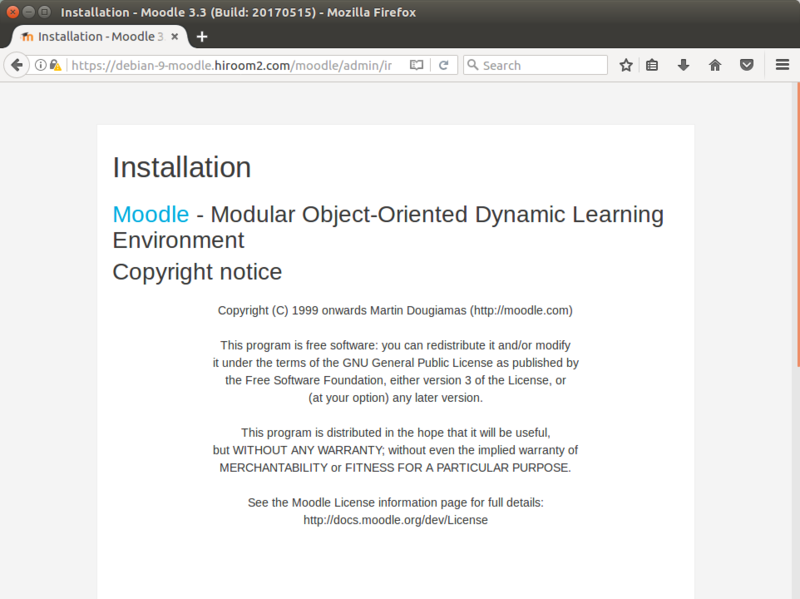 This article will describe installing Moodle which is a e-Learning platform. If you use http instead of https, change 443 to 80 and delete SSLXXX directive in /etc/apache2/sites-available/moodle.conf. Set your environment FQDN to MOODLE_FQDN. MOODLE_PASSWD is password of moodle user in MySQL. # utf8mb4 does not work in Debian 9. Access to the following URL and setup Moodle. Accept this page's certification to browser.